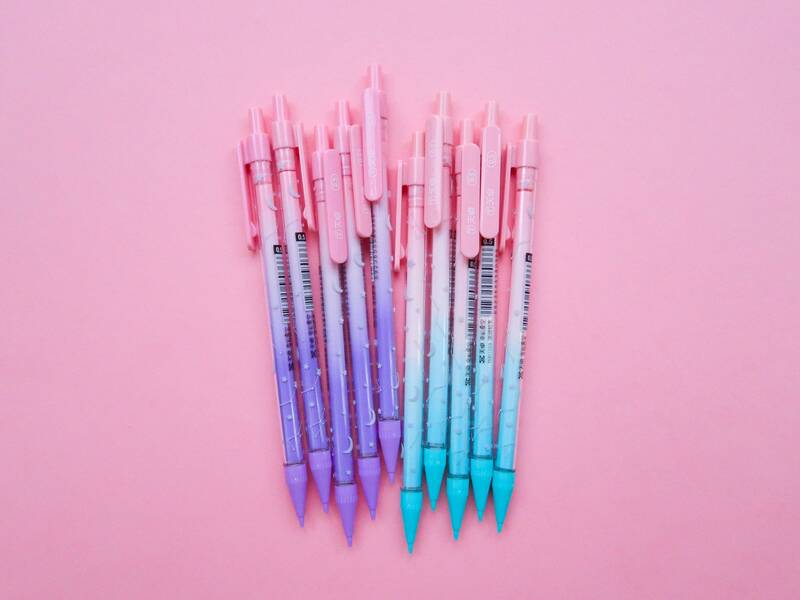 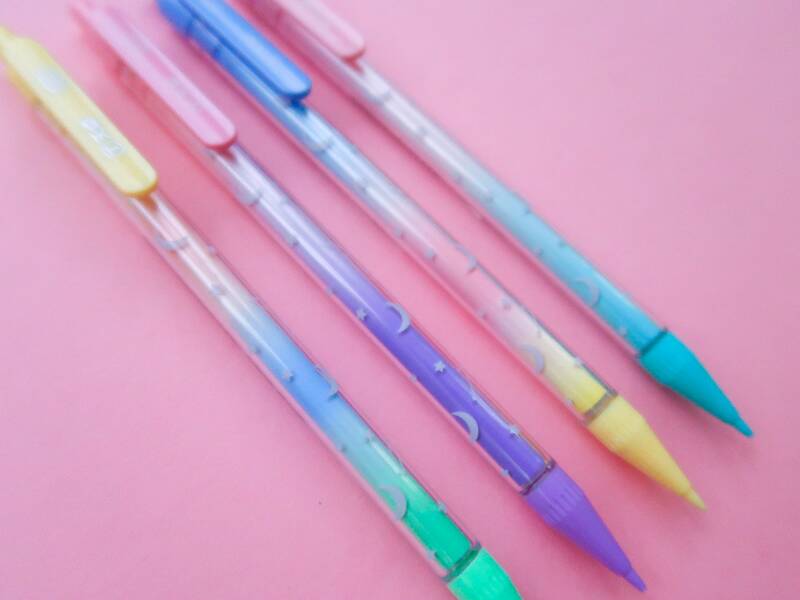 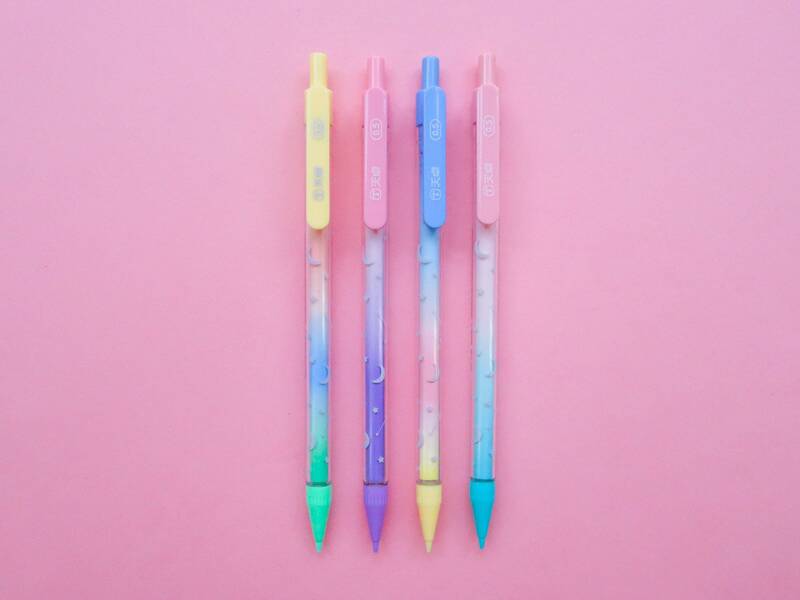 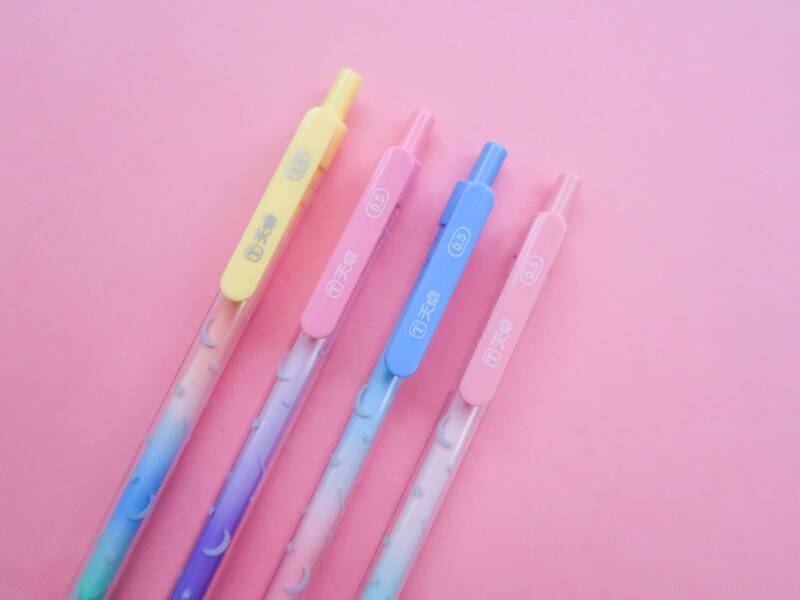 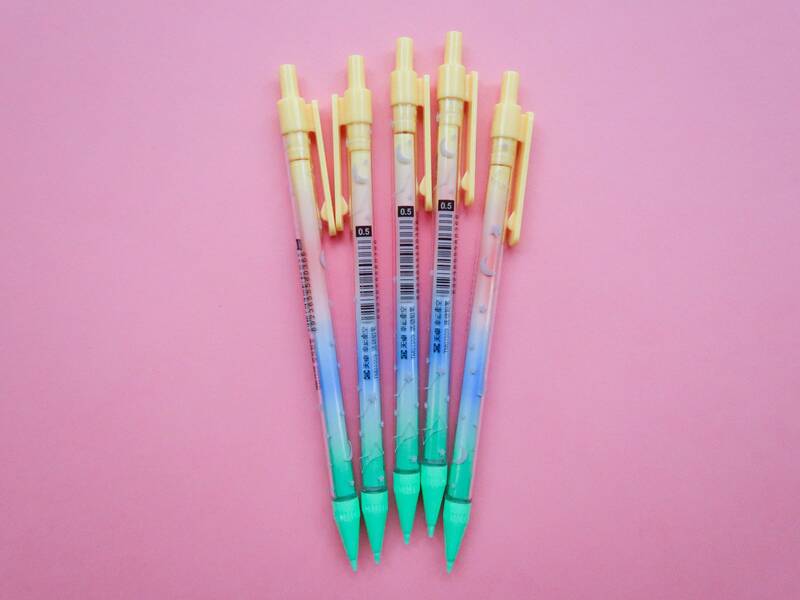 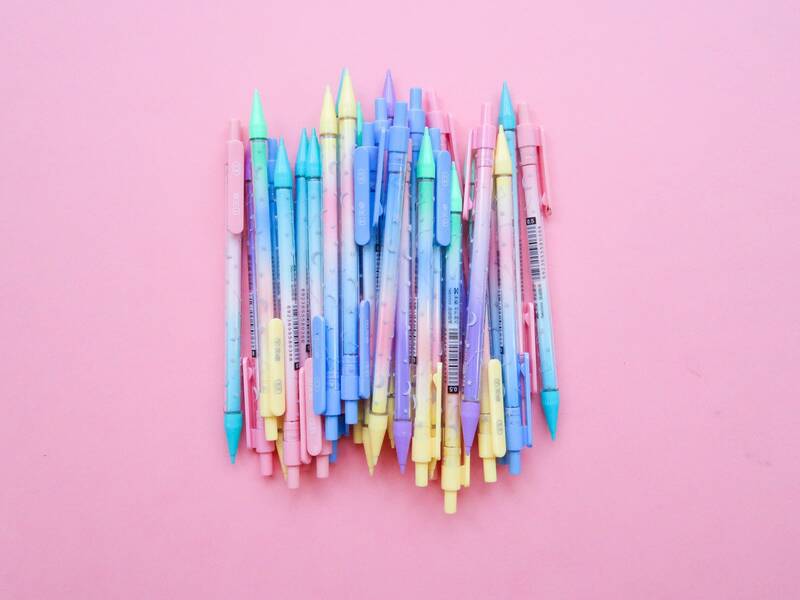 Bring a touch of Pastel Ombre joy to your everyday note-taking with these Japanese mechanical pencils. 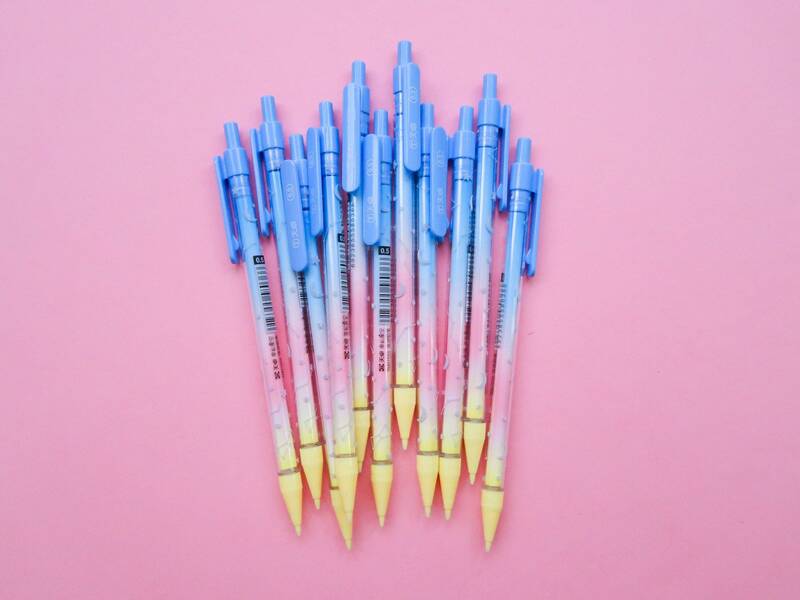 Each pencil has an ombre coloured inner barrel and is printed with moons and constellations. 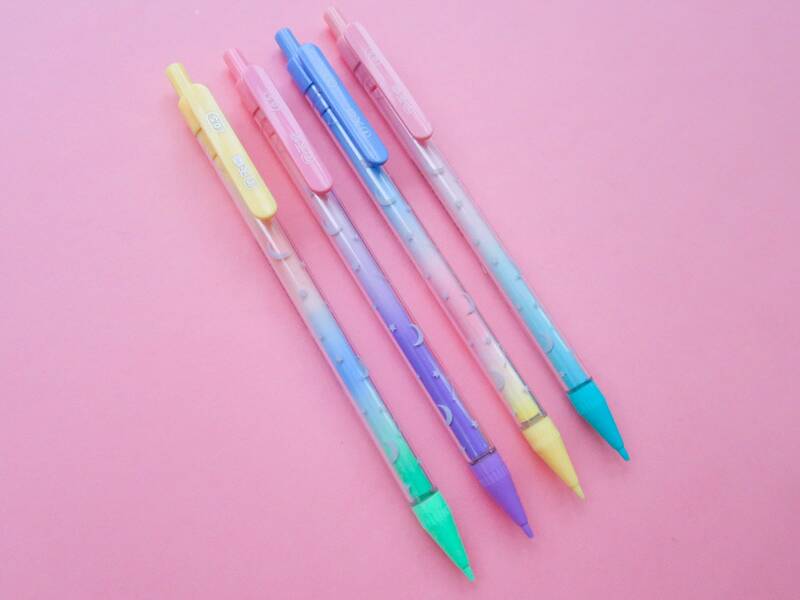 They have 0.5mm HB graphite leads. 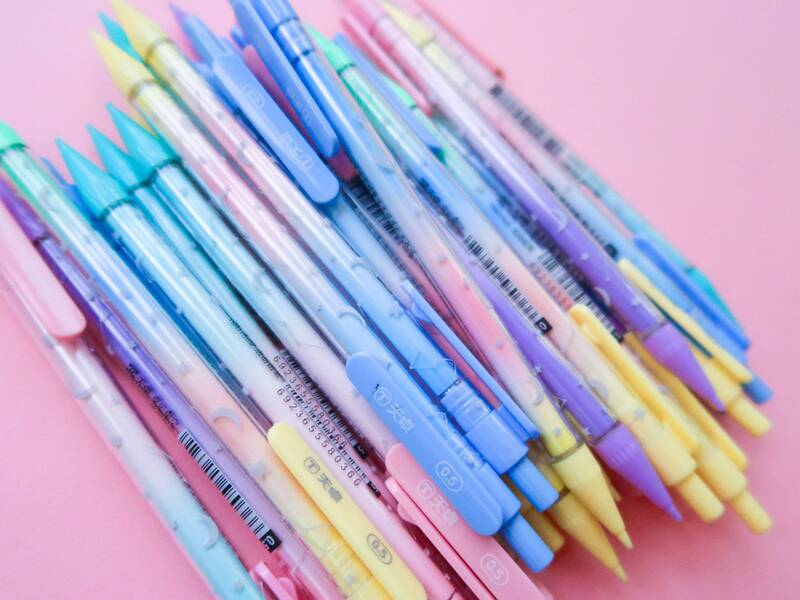 This listing is for 1 Pencil- choose yours by nib colour before checkout.